Here to share my scoot and my mods. 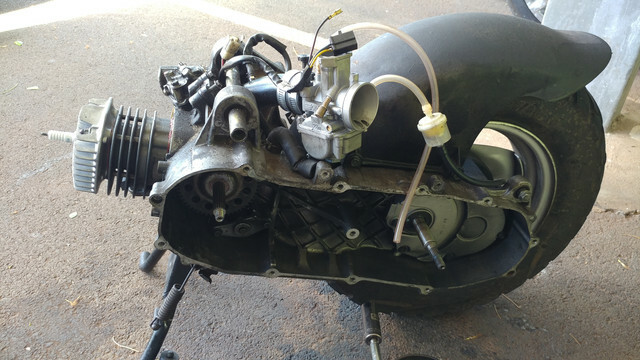 I have a Malossi 70 kit, ncy intake and oko 28mm carb. Right now running the sport exhaust, 6g rollers, goped stem with ada bars. 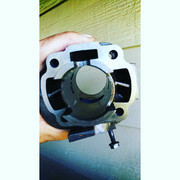 Its jetted fat, 180 main, once shes broken in ill jet it down. 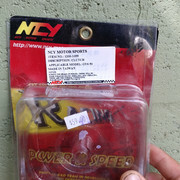 I have a YMS V8 for a jog on its way along with a stage6 pro replica also for a jog. We will see if it fits, theoretically, it should... Ill post more as parts come. 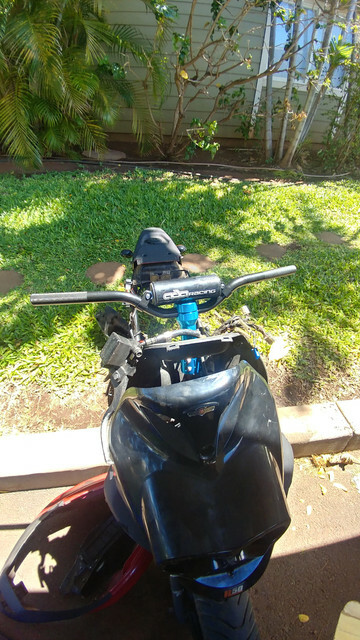 So from what ive gathered.. We all know that if you search roughhouse50 or buddy50, you are very limited..
Its a yamaha jog top end, so search for a jog as long as its not the water cooled version, it should fit. 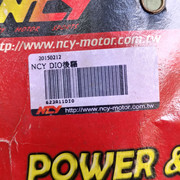 Try to stay away from the no name brand big bore kits.. The casting is terrible..try to stick with name brands like masolssi or polini..
Internals- dio and gy6 parts will fit. I have a ncy clutch with a variator from a dio, along with a contra spring for a dio. stage6 pro replica for a jog.. Ordered it raw but they only had chrome with carbon can.. No biggie, ill take it! Everything that came in the box.. There was a restrictor plate that was welded in the head pipe. I just drilled the little welds and removed it. Boom! Was running up a hill when the power faded..let off the throttle and she died. Running a 150 main, moved the clip up one to lean it out... This was the result.. Moved back to a 180 on rhe new kit..
the NCY uses the copper gaskets, while the Malossi uses a rubber ring. It looks like the Malossi has a bit more compression than the NCY. At first I didnt like the quality of the Malossi.. the cast was a bit more rough, the exhaust hole is smaller than the NCY. This is a nice kit. Casting quality is really good with no slag.. Its an aluminum cylinder, loads lighter than the cast iron.. Still breaking in the malossi.. I found i had an air leak around the intake, plugs are nice and coffee colored. Switched to a 24mm oko with 55 pilot and 145main..
Cut and welded the pipe, got a radial for the rear. That exhaust hanging out way back there is really going to really put your mounts to a stress test. Can is getting cut down soon. I need to find a cutting disk that isnt going to splinter the carbon. Carbon can.. not to worried about it stressing anything. If it breaks ill post a pic. Thank you. I notice you are in Hawaii. Did you have any problems getting a safety check done,with the Mods you put on? Aloha! I kept it stock when I went in for safety. No chance of passing with any visible mods. 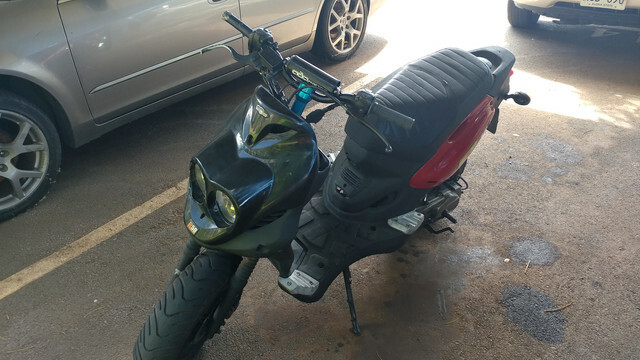 Last year they tried to make it illegal to derestrict your moped.